Your registration code and instructions will be mailed to you. There are NO returns on this product, please be sure you have checked your system compatibility before you make your purchase. To comply with Reverb policies a copy of your invoice, complete instructions and your serial number will be shipped out to you the same day of purchase. 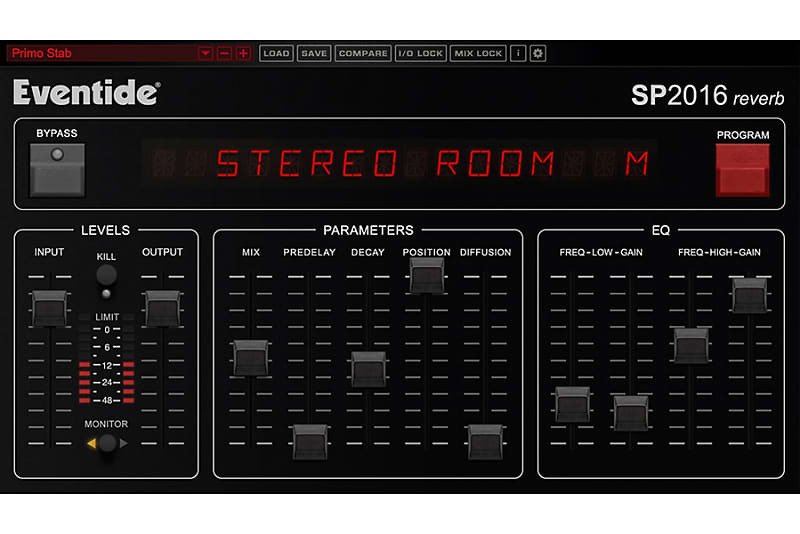 The SP2016 was the first programmable studio rack processor. It introduced the concept of the ‘plug-in’ to the pro audio world back in 1982, with actual EPROM chips that would be plugged inunder the hood. Revered for its signature reverbs, the SP2016 was notably used by Dave Pensado, George Massenburg, Alan Sides, Roy Hendrickson, Jack Douglas, and Mick Guzauski. The lush reverb can be heard on countless hit records by Talking Heads, Adele, Mariah Carey, Eminem, and more. Now, 36 years later, this signature sound is available for your DAW. The SP2016 reverbs have attracted a loyal user base by using a particular blend of art and science - the end result is an effect that sounds natural and distinctive. The plug-in includes authentic emulations of Room, Stereo Room, and High Density Plate algorithms, each available in two versions: Vintage and Modern. The Vintage algorithms are true to the original box, all the way down to the bit-depth. The Modern algorithms are brighter, more diffuse, and use a higher bit-depth. Most of the software we sell is a download, we do have some boxed products available as well. If the item purchased is a download, we will email you the instructions and serial number within 30 minutes during normal business hours. Or as soon as we can outside of normal business hours. To comply with Reverb policies we will send you a copy of the invoice and detailed instructions for your download in the mail. Based on purchase price of $249 at 10% APR for 12 months. Excludes tax and shipping fees, to be calculated at checkout. Rates range from 10-30% APR. Choose from 3, 6, or 12 monthly payments.